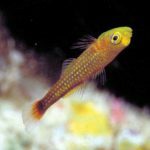 The Sand-sifting goby genus Valenciennea just got a bit bigger with the surprising discovery of a previously unrecognized species in the Coral Triangle. 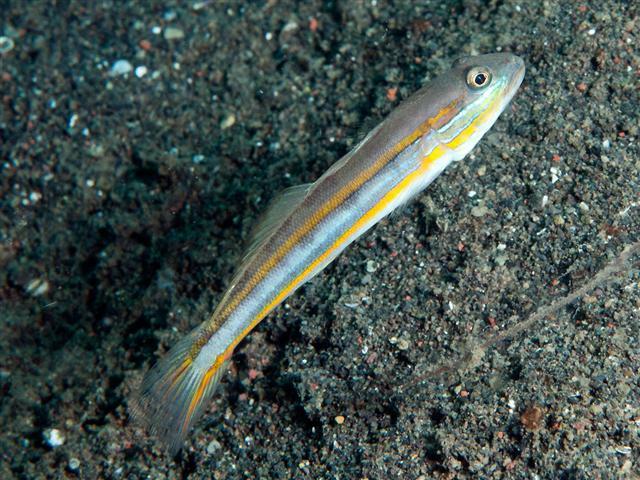 The new fish, V. yanoi—named after the same Mr. Korechika Yano of Amblyeleotris yanoi fame—had long been confused with a couple of very similar looking gobies (V. limicola & V. parva) that share a common pattern of parallel yellow lines along the sides and a low dorsal fin. 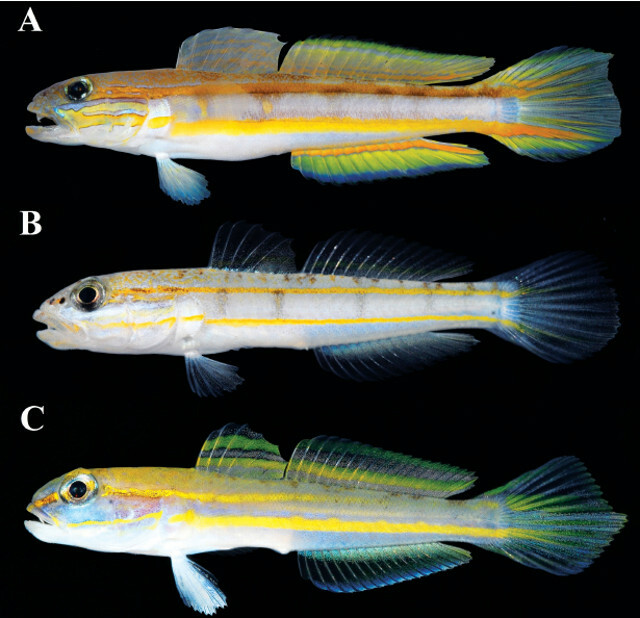 All three of these species are rather tiny for the genus (6-8 cm), which means these could potentially be kept in smaller aquariums than is possible with the larger species common to the aquarium trade. 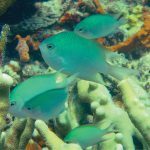 Unfortunately, none of these pint-sized sand-sifters seems to ever get collected; however, seeing as they can be found in the shallow sandy habitats surrounding coral reefs, there doesn’t seem to be any real impediment that’s keeping them from being exported other than a lack of interest in them thus far. 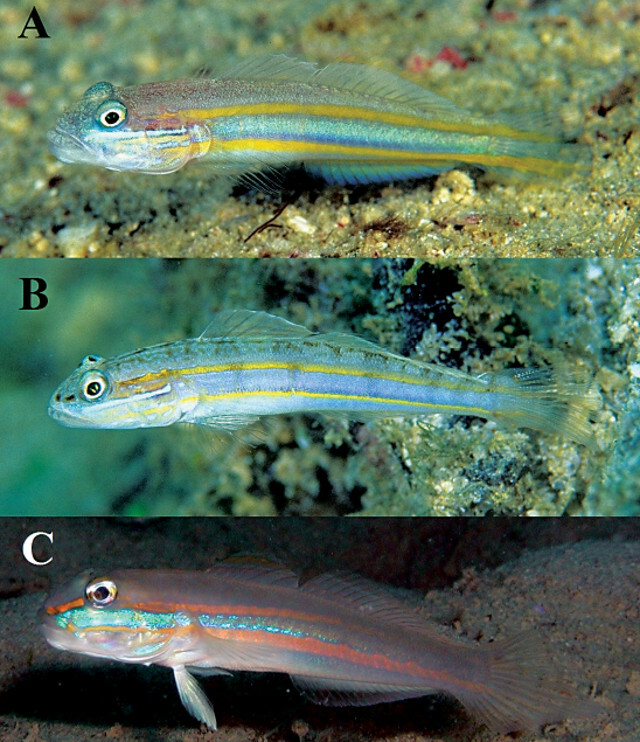 Yano’s Sand-sifting Goby can be recognized by the lack of any yellow stripe or black spots in front of the eye and the distinctive shape of the caudal fin, which is slightly elongated dorsally (versus rounded in V. parva and lanceolate in V. limicola). 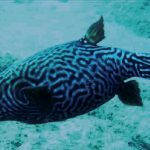 Also, there are a few thin blue lines beneath the eye in V. yanoi, while there is just a single wide blue band in V. limicola. 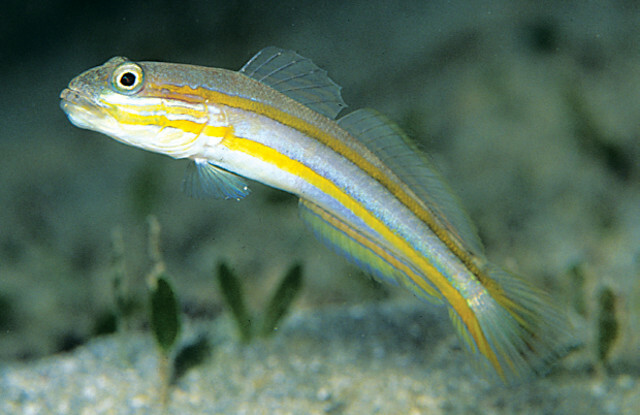 In general, this new goby is the nicest of the lot, with a more vibrant and well-defined coloration. 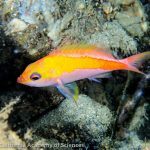 So far, it has been reported from the Ryukyu Islands, Bali, Borneo, Palau and the Philippines, indicating that this fish likely has a wide range in the Coral Triangle. 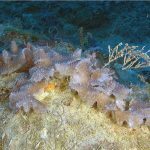 You can read more about this itty bitty sand-sifter in the latest volume of the Journal of the Ocean Science Foundation (pdf).